At House of Lilollia you will find beautiful handcrafted pieces for your home and gorgeous gift for a loved one. 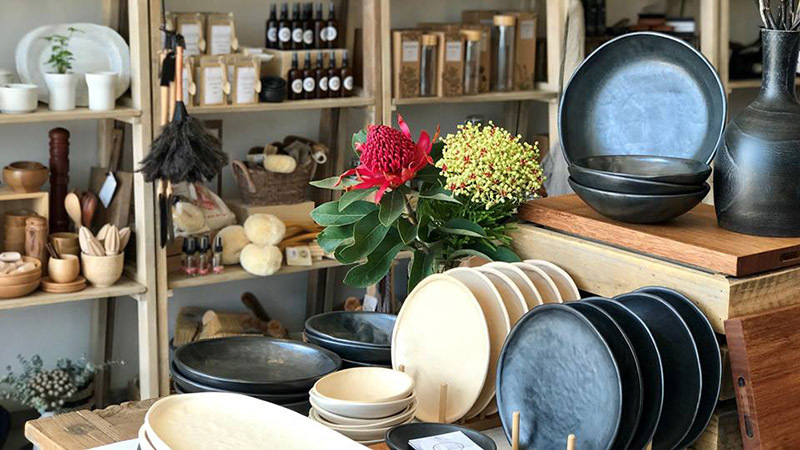 Take your time to browse the beautiful shop located in Torquay and enjoy the House of Lilollia experience and handmade goodness. Each piece in the House of Lilollia store is unique and handcrafted by amazing makers from near and far, with their own story to tell. We are SUPER excited to be stocking in this beautiful shop alongside other creatives. Tarelle from House of Lilollia has hand selected an awesome range of Ayana Jewellery from Mini Studs to Necklaces – there is something for everyone…. or a treat for yourself! This entry was posted by Lauren Batten in Ayana Updates and tagged house of lilollia, retail, Stockists, wholesale.